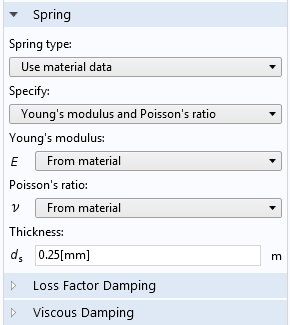 For users of the MEMS Module, COMSOL Multiphysics® version 5.3 includes extended Spring Foundation functionality, energy quantity variables for contact modeling, and enhanced external material functionalities. See all of the new features and functionality in the MEMS Module below. 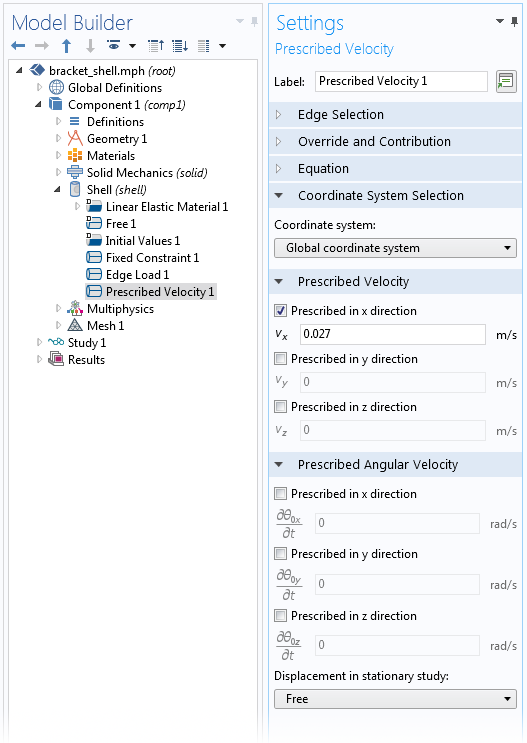 New variables containing energy quantities are available when modeling contact. You can now obtain the energy dissipated by friction as well as the elastic energy stored in the contact penalty factors. This is useful for checking energy balances as well as a posteriori checks on selected penalty factors. Energy balance for a cylinder rolling and sliding inside a channel due to gravity. Energy balance for a cylinder rolling and sliding inside a channel due to gravity. You can study the frequency response of a structure where a contact state has been computed in a previous study. 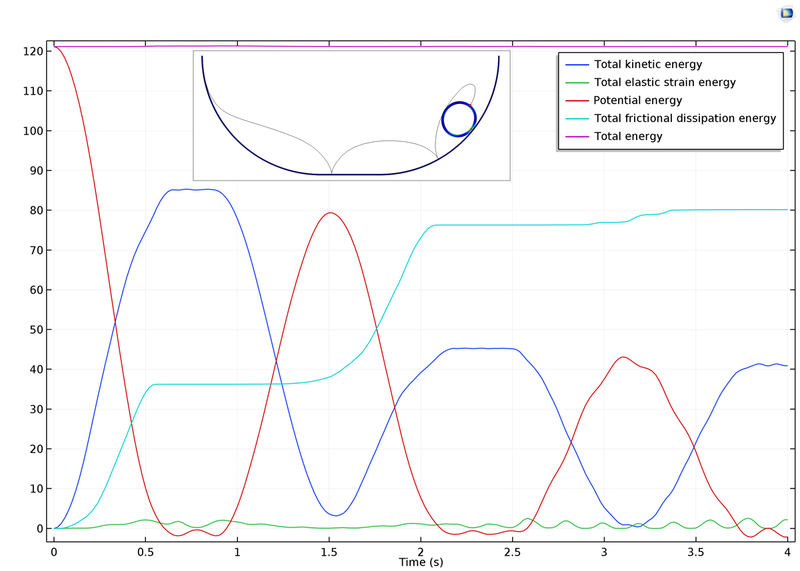 As an example, you can perform frequency-domain analyses of bolted structures and study the influence of contact states on the dynamic properties. In the Shell, Plate, and Beam interfaces, you can provide values for harmonic perturbation for the Prescribed Velocity and Prescribed Acceleration nodes.